Moose Tags™ Cable Labels have a variety of organizational uses for your home, office, or car to help you manage all your electronics and wiring. They also work great in larger environments such as for IT end-user computing, government, school or industrial buildings where cable and wire organization is a must. - Electronics storage bins and "junk drawers"
- Strip plugs for office equipment;, lamps, etc. 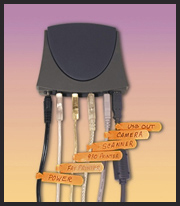 Buy Moose Tags™ Cable Labels now and organize the cables, cords and wires in your life. 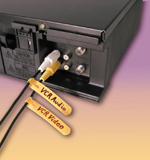 Copyright © 2007 Moose Tags™ Cable Labels. All rights reserved.